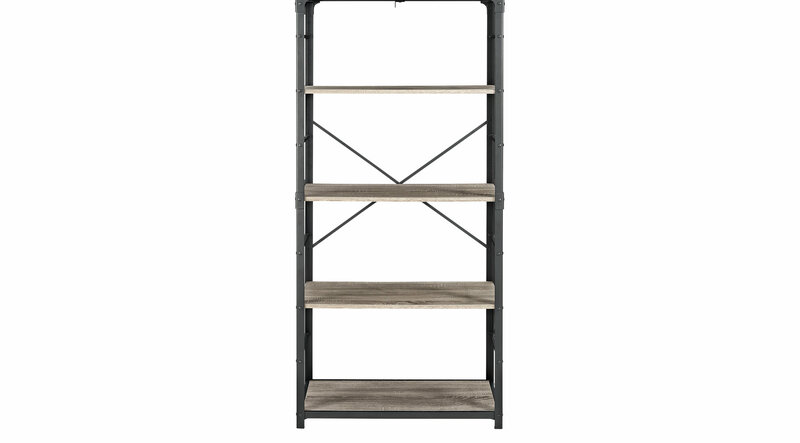 If you need a little more organization in your life, the Lorcan driftwood bookcase is the perfect piece. This 64" bookcase with 4 large shelves has ample storage space for all of the books and knick knacks you want showcased or need out of the way. Its unique industrial style is a stylish addition to any home office, hallway, living room, or bedroom. Durably constructed of metal and wood with a trendy urban design, this piece is sure to be a favorite in your home.